Thanks to Bluetooth technology, at least in theory it is extremely easy to connect smartphone, PC, keyboard and speakerphone to other close devices, without a cable. However, in practice, there are often problems such as device is not found, the pairing fails or the connection breaks down after a short time. Troubleshooting is then usually long and difficult. 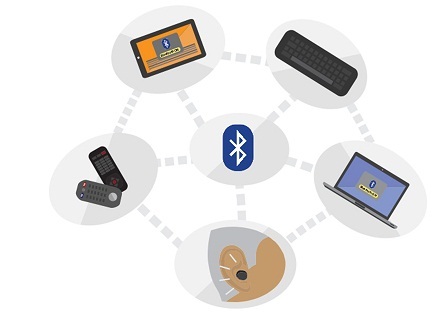 Here we show you solutions for some of the most common Bluetooth problems. You want to establish a connection between two Bluetooth devices, but despite a sight device is simply not displayed in the other Bluetooth-list. - First, check whether Bluetooth have enabled on the affected device. - Ensure that your device for other Bluetooth devices is visible. - Ensure that your Bluetooth devices are compatible with each other. On the market, currently there are several versions of the Bluetooth standard exit and all are not compatible with each other. When trying to connect two devices together, you get an error message or the process takes forever and is unsuccessful. - Clear couplings: Most devices equipped Bluetooth connections in a list of known or paired devices. Some devices give a problem if there are too many entries in this list. Therefore, you should delete unnecessary items in the list. - Support both devices - NFC, you can also try to establish the Bluetooth connection via NFC. This happens automatically when you together hold the device tightly. You have two devices successfully coupled together via Bluetooth but the connection breaks from time to time. - First, you should reduce the distance between the two devices, possibly a unit is located at the limit of its transmission range. - It is also recommended to delete unneeded connections. Perhaps a device is busy with the number of connections. - Minimize sources of interference to radio communications. - If it is for one of the devices used by an Android smartphone, then you can enable "Bluetooth Auto Connect" on. You want the car phone on your iPhone, but the connection with the hands-fails? This error may have several causes, possibly resetting the network settings helps. Also, it may help temporarily connect to iCloud. In Windows 10 problem solver finds its solutions for Bluetooth issues under Windows 10. You use a Bluetooth mouse and / or keyboard to your PC or Mac, but one day you find that your devices won’t work or take long time to respond? Most wireless mice and keyboards run with a battery. Therefore, first, you should check the charge status of the batteries and change them if necessary. If that solution is not successful, you should reconnect your devices with the computer. Your computer or your stereo system does not support Bluetooth. Yet you search for a way to connect the device wirelessly with a Bluetooth device? No problem. Bluetooth support can be easily retrofitted. Using a Blueooth adapter makes your PC, home stereo or your car stereo subsequently Bluetooth capability.